Happy Halloween everyone! Today's post is my second and final Halloween look of the year, I did want to create so many more but I haven't had time and Christmas seems to have taken place at Halloween this year on my blog. You can check out my first Halloween look of 2018 for a glory mermaid inspired look. Today's look is another gory one, those are the kind of looks I like to create for Halloween as they are so effective but very simple to do. 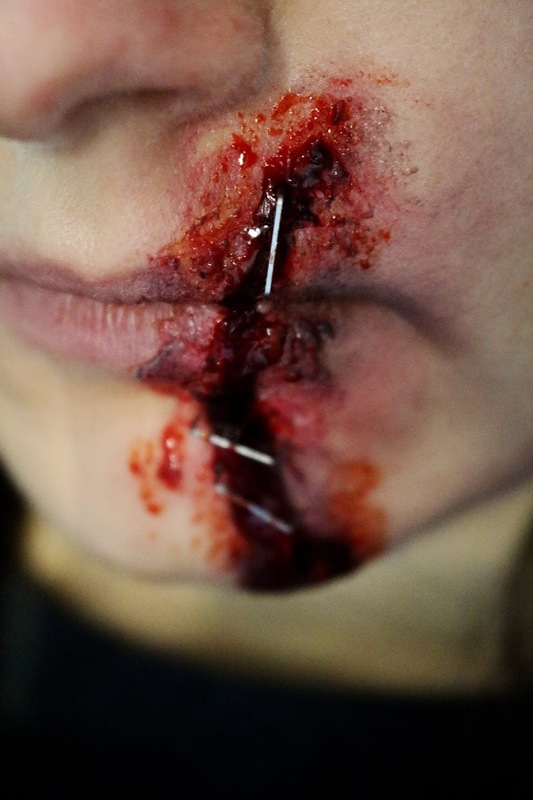 Last year I was kindly send a few special FX make up items from The Makeup Armoury and I'm using them again today. 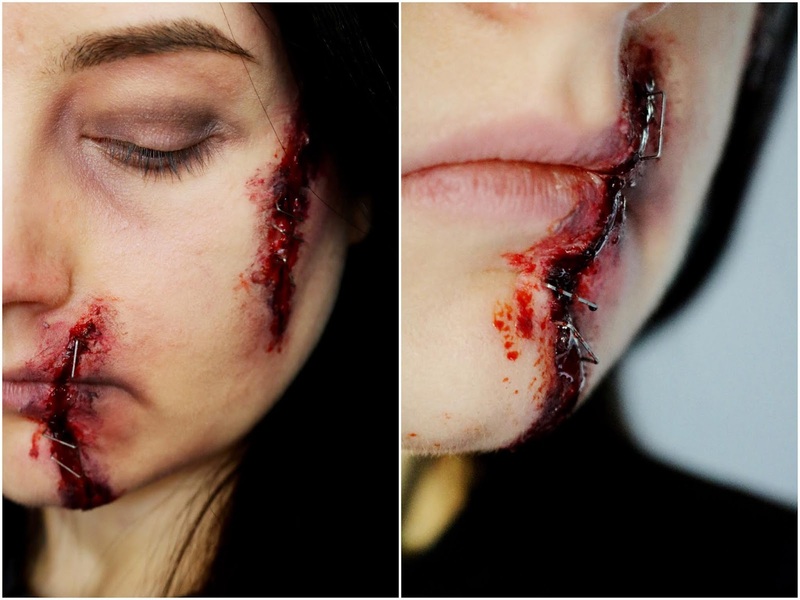 However maybe you can DIY the look if you don't have the specific items and you can also make fake blood easily at home. I really wish I could have created more Halloween looks this year but hopefully next year! Then onto the eyes and I just used cool toned browns and greys for some contour around the eyes, under the eyes for some shadow and I use the same shades as a contour – I wanted to make the skin look quite gaunt, dirty and zombie like. I also set my make up with the Essence fixing powder which is amazing! 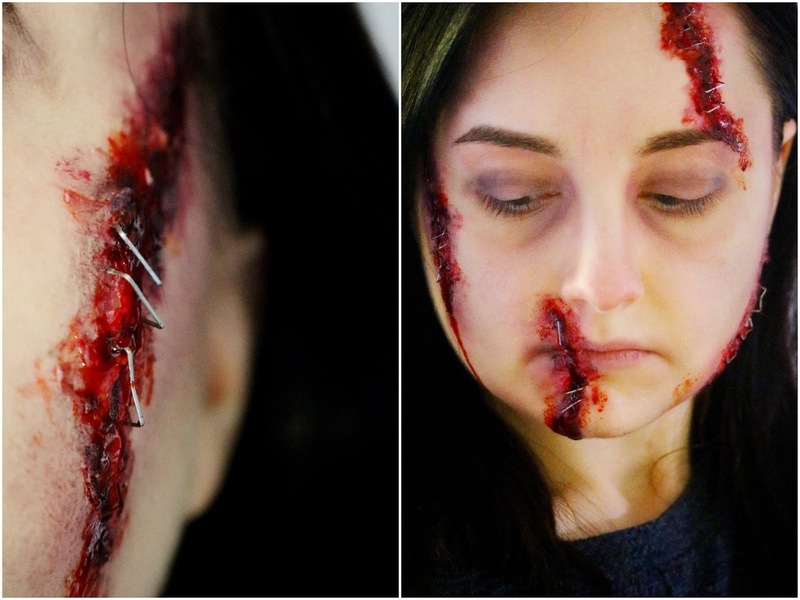 Now for the fun bit of the look, the blood and gore! I used the Ben Nye nose and scar wax to create the raised texture of the skin where the cuts are. I rolled the scar wax into thin lengths and placed them where I wanted them on top of some eyelash glue; although it would be far better to use spirit gum. I then used the back of my tweezers to mould the wax onto the skin to create the raised texture I wanted and to make the wax at adhere to the skin. I left the wax and glue to set a little while I used my Makeup Revolution eyeshadow palettes to create some bruising along the cuts/ridges and also under the eyes with purple, red and grey shades. I then used some black along the middle of the ridge of wax to create depth and after everything was blended I went over the cuts/ridges with fake blood. Lastly for this look I added some single staples to the cut which I pushed into the wax so it looked like they were slightly buried into the skin – I wish I had made the wax much deeper as then you would've seen the texture in the photo much better although you can see it well in real life and the staples would have pushed into the wax better. Finally, I added a little more fake blood as it's Halloween and you need fake blood! I also added a little mascara and then it's done! I'm quite happy with the way this look came out although as I said I would have made the wax thicker to make it look more textured and 3D. 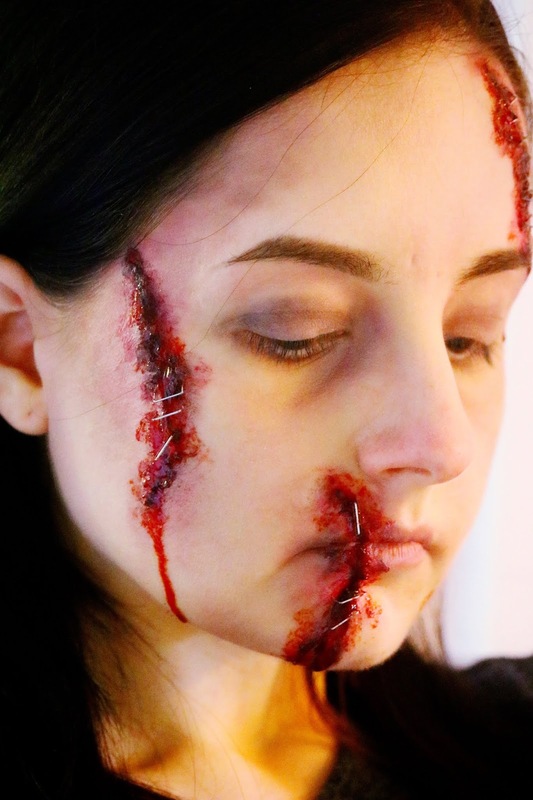 Even though some of the products that I used are more specialised, I think you would be able to make the texture with household items and home-made fake blood. Happy Halloween everyone and I hope you like this look! Are you dressing up for Halloween tonight? Do you celebrate Halloween? 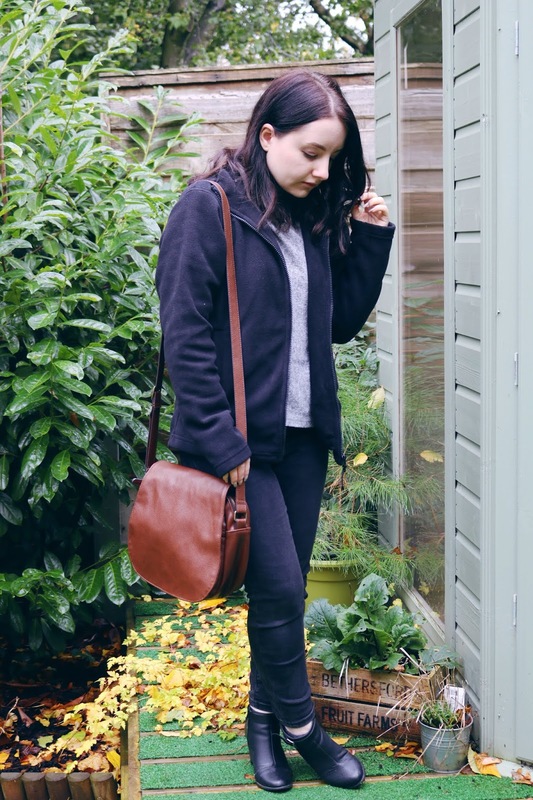 Today's post is a little different but it contains an item that I've been using for the past few weeks and loving! It's an interesting and very unusual exercise device from Activ 5 which is ideal for those who want to tone and strengthen muscles but maybe don't have the time or the opportunity to as you can use this item at home, while commuting or at your desk. The *Activ 5 Portable Fitness Device (£125) is known as the "tiny gym in your pocket ", it's an impressive small device that can easily fit in your handbag, gym bag or desk drawer that allows you to complete various muscle toning and strength exercises easily and quickly with short tutorials and games. It's such a small device at around the size of your hand/palm, it's fairly lightweight and comfortable to use. You can buy this device on the Harpak Home Shopping website along a wide range of books, furniture, entertainment, food and drink, cosmetics and much more – it would be a great all in one site for a variety of Christmas presents. The device is able to measure your muscle strength in kilograms (up to 90 kg) and then it provides countless exercises to tone and strengthen your muscles. It has been shown to improve muscle strength by 30% in six weeks of using the device. To use it, you just have to turn on the device and download the app on your android or iOS phone then the app will take you through the steps of gauging your muscle strength for each exercise; subsequently you can go through a series of exercises focusing on a specific parts of the body/muscle group using the app and device. The difficulty and strength required for each exercise will be dependent on the strength of your muscles in kg from the initial test. There are various exercises for numerous parts of the body for example, upper body, lower body, back etc. The app is very quick to download and easy to use with so many options to choose from depending on the muscles you want to tone and strengthen or the areas that need more attention. Check out the Harpak site for more information about this product. I've been using it for the past few weeks on and off and since using it has become an interesting and very quick way to getting some muscle toning and isometric exercises into my daily routine very easily from my desk. 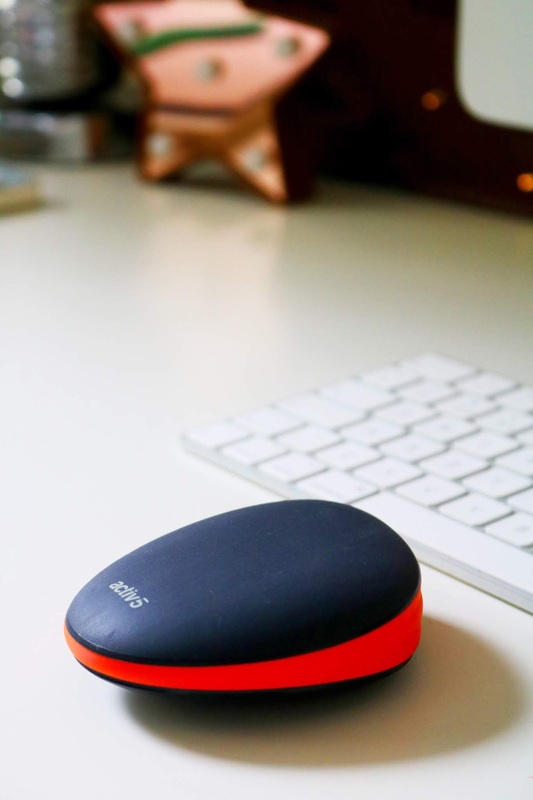 Some of you may know that I currently work from home which means that I don't get nearly as much exercise as I should so this small device is very convenient for me and I think it will be great for others who work at a desk job too. Over the past year or so I have managed to lose and maintain just over two stone in weight which I'm very happy with but I still want to tone my muscles a little especially my triceps/under arms as they always have been a problem and issue for me. I haven't noticed too much of a difference so far apart some of the exercises are getting a little easier as I've been using the device but I still need to use it much more to get the full results. My dad has also been using the device on an off and as he is semi retired he doesn't get as much exercise now and this has been helping him. He has some issues with his back and this device has been great to subtly strengthen and stretch the muscles in a way that daily activities and badminton haven't been. Overall, I still need to use the device much more to see substantial results but so far I am liking using the device and the app as they're just both so easy and quick to use. I like that you can easily specify and work on the areas and muscle groups you want to. The exercises or series of exercises last only a few minutes so you can easily fit them into your day, no matter how busy you are. You can do these exercises while at your desk, on your lunch break, as soon as you wake up, even while watching the TV or commuting to work. The idea of isometric or static exercises is something I'm not familiar with at all but I think it is interesting and so far so good. I think this is a great little device especially for people who don't have the time, energy or opportunity to exercise at the gym or to do a full home workout. This device does allow you to work on so many muscle groups including a full body workout in the comfort of your home and calibrated to your strength. As I said I still need to use it more but I'm very happy with it so far and I cannot recommend it enough. To purchase, visit the Harpak Home Shopping website. Lastly, if you are visiting or based in London then look out for the FREE Harpak magazine which will be distributed around zone one underground stations from the end of October. What do you think of this device? Would you buy something like that? Today's post is going to be a little different but it's something that I think would make an amazing gift idea! My dad is one of the hardest people to buy gifts for as he is so picky and he always wants the same thing over and over but I think this kit has been a success. You might have seen this kit on my Instagram Stories (@ofbeautyand) as I always post unboxings and blogger mail there. We've been working on this kit over the past couple of months or so and it's been such a nice process and the end result is finally here. I was very kindly sent the entire kit which is what you need if you're a beginner as it contains every item you will need. The kit comes with the 5 litre fermenter, tools, thermometer, instructions, brewing bag, bottling items and more. If you already have some of the items then you can just buy the bottles or the recipe kits as you'll need a new recipe kit with ingredients each time. 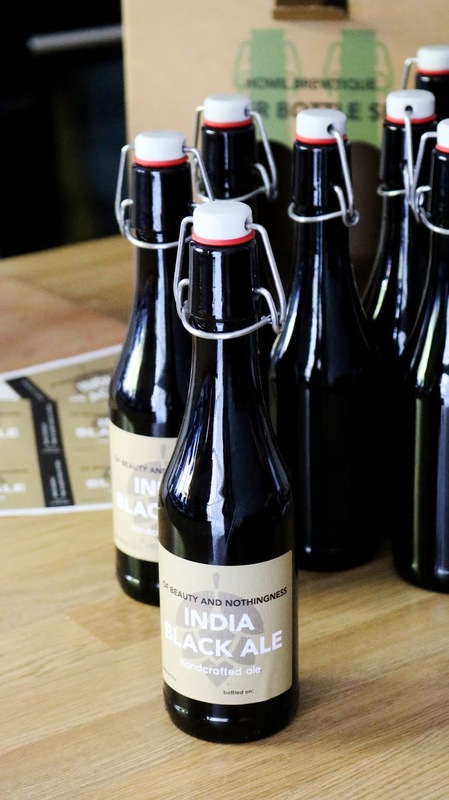 There are quite a few to choose from, in terms of the recipes which all vary in flavours and strength but we chose the IPA so I was sent the IPA recipe kit, along with all the equipment. The kit with all the specialist equipment (the basics) is £35, then the bottle set is £30 and the recipe kits themselves are £22 each. They also have some amazing christmas kits and gift sets which range in price from £19.80 to £132.20, all of which look amazing! The process of making the beer wasn't too complicated thanks to the instructions and it was an interesting process overall. I haven't ever tried to make beer so I didn't know how complicated it would be but thankfully it isn't too demanding. I'm so glad the kit contains everything we needed as it isn't something we have done before and I think we would've been a little bit lost if it wasn't for the detailed instructions and the fantastic YouTube video going through the whole process. I love the design of the kit on the whole, it looks like a very well put together, thoughtful and unique gift from a fantastic, independent company – it would make it more special gift than just buying beer or alcohol from the store for your gift recipient. Also it is a great practical gift that can be enjoyed well after the Christmas period and shared with friends and family which is what we are going to do. Yesterday was our first taste of our home brewed beer, it isn't something I ever usually drink so I don't really know what to expect. India Black Ale (and IPA) is something my dad likes and he said it was a very smooth, clear beer that he really liked so I think we must have done something right! I'm so glad that it turned out well and as it should, even though we were a little unsure at times during the process of making the beer and now I can't wait to share it with friends and family (I think both of my uncles will really like it!) over the festive period. Overall I'm so happy with not only how easy the process was but also the all-inclusive nature of the kit, how well designed it is and the final outcome which I'm sure everyone will love over the Christmas period. I think the kits on their own would make a fantastic gift that keeps on giving into the new year but also sharing the results of your own gift is also very special is it something you've made yourself. Any one of the kits would make it a great Christmas gift this year especially if you know someone who is a beer lover or who has wanted to make home brewed beer for a while. 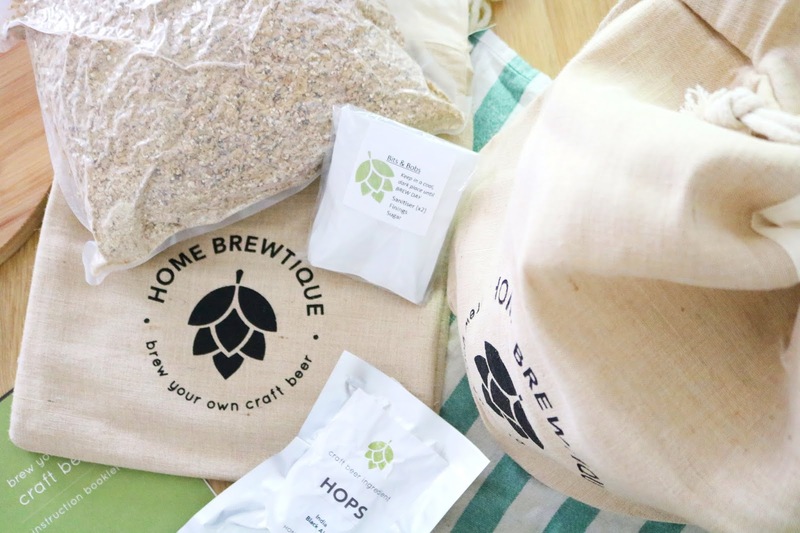 There are great kits for beginners and there are also kits if they already have some of the equipment, so there is something for everyone on the Home Brewtique website. Kits range in price to so you don't have to spend too much to get a unique and special gift for someone this year. 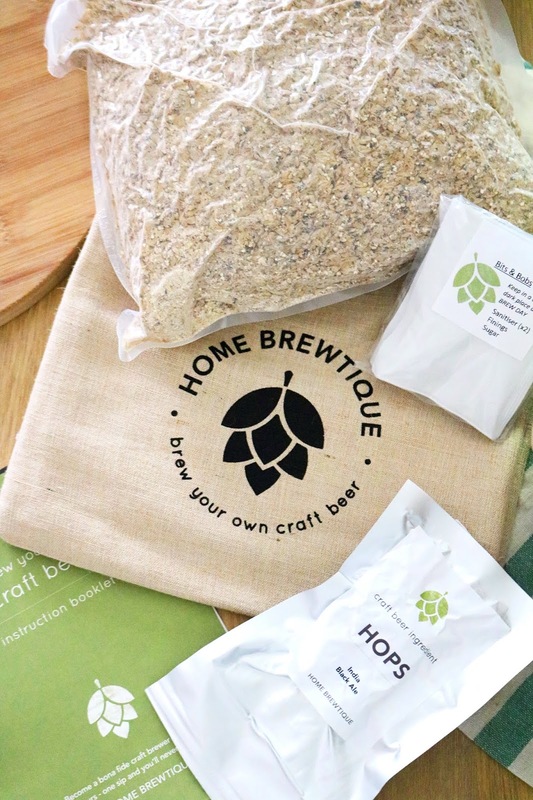 Check out my video to below for a more detailed and quick run through of the home brew beer making kit from Home Brewtique. If you have any problems with the video below, feel free to message me in the comments or email me: heathernixon4@gmail.com. What do you think of this gift idea? 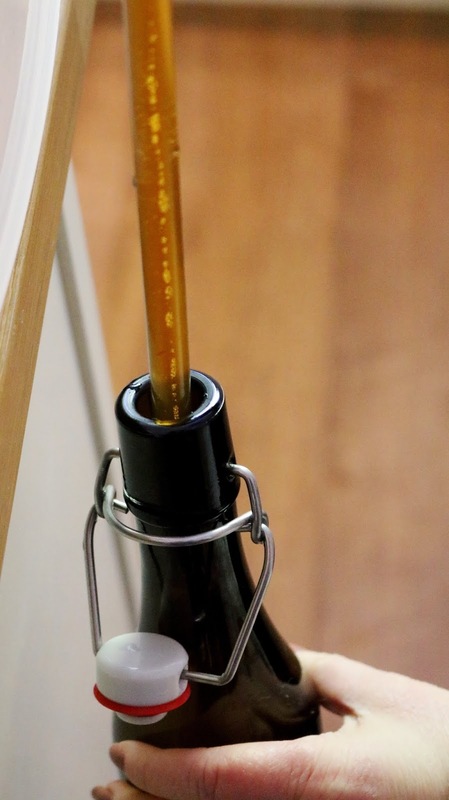 Would you buy a home brew beer making kit? Even though it isn't Halloween yet, on Of Beauty and Nothingness, we're in the Christmas spirit and today's post is a christmas gift guide for her with items that I think would be great for all ages, interests and styles from teenage girls and friends to older aunts, mums and grandmas. Thanks so much to all of the wonderful brands included in today's post including Adexe London, Kiss Lashes, Avril Cosmetics, Lush, Universal, Amara and Sensationail. 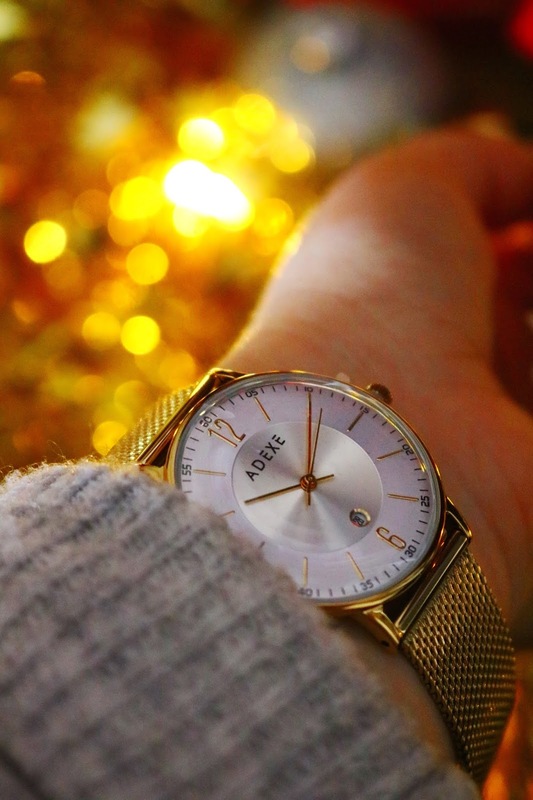 Let's start with a gorgeous watch from the lovely people over at Adexe London. I've been lucky enough to work with them a couple of times already and I'm so glad that I can again for today's post. I love the watches I already have from them but this one might be my favourite! They updated their packaging from the plain white boxes to these gorgeously colourful and unique boxes which I'm loving! The watch I chose is a combination of gold and silver which I think looks amazing together! I'm not usually a gold jewellery or watch wearer but I'm loving this clean gold shade and the silver makes it look more modern - to me, gold jewellery is quite old fashioned looking which is probably why I'm never drawn to it. 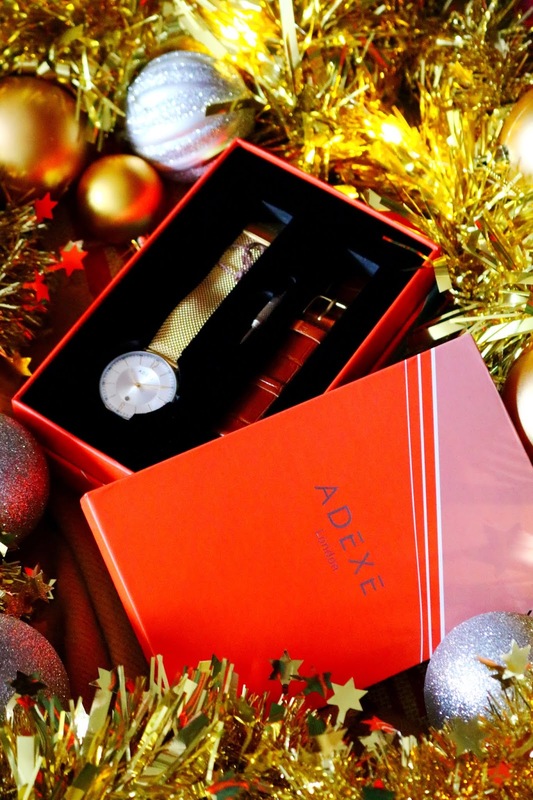 The clean gold, silver face and the classic mesh strap makes for a gorgeous, timeless and special watch to give this christmas. The watch not only comes in a beautiful presentation box and a stunning design but it also comes with a mini screwdriver to adjust the watch and a secondary brown strap so you can switch it from a casual daytime watch to a more classic, formal watch. You have a choice of a brown or a black strap which you can specify at the checkout. All of their watches are produced and designed in house so it's going to be a unique gift that your gift recipient will love to receive! You can get 15% off using the code: HEATHER15. Next up are a few stocking filler ideas from Kiss, the first being their impress false nails which come in a wide range of styles from more natural options such as whites, nudes and French tips to bolder and darker shades, metallics and shimmery options so you're bound to find something your gift recipient will love. The sets are easy and quick to apply, they look great on the nails and they'd make great little stocking fillers for anyone who loves false nails, someone who's just getting into the world of beauty or for those who love polish but don't like the wait! You can find their sets on Superdrug and Boots. The final items from Kiss are their famous false lashes and again, as with the nails, there are so many styles to choose from including natural options to bold, fluttery, thick or voluminous lashes. I think they'd make ideal stocking fillers for the beauty lovers in your life as they are easy to apply (well, as easy as false lashes can be), they can be re-used a couple of times if you look after them and they look gorgeous. I'm personally not a fan of huge lashes on myself so I would always opt for the more natural and thicker lashes - the faux mink couture lashes look so beautiful. You can see the lashes and nails from Kiss in more detail in the video below which features all of the gifts in today's gift guide. Next up is a gift that I'd only gift to close friends and family as it is definitely a little more personal. Clothing, lingerie and other similar items are only gifts for the people in your life that you know very well such as siblings and best friends....or you can treat yourself because why not, it's the treat season after all! I love this lace bralette in the shade Rose which is the most beautiful light pink shade (that is definitely me). Although there are a range of colours and sizes to choose from. I have the medium size which fits pretty well although I think the small size might be a little better for me - I'm a UK size 34B for reference. The bralette is so comfortable and lightweight but very pretty, I can't recommend it enough! 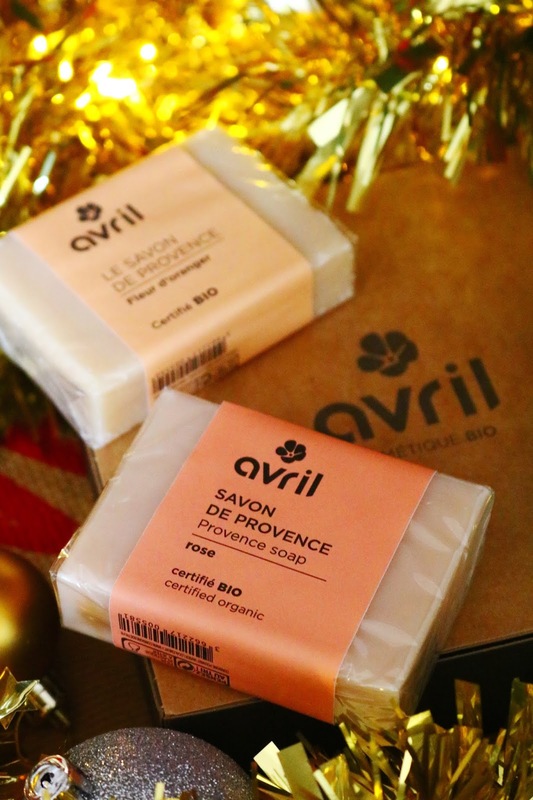 Next up is a very inexpensive but nicely put together and safe gift set from the French company Avril Cosmetics. The set contains three soap varieties including rose, orange flower and almond, all of which smell amazing, especially the orange flower soap. If you're gift recipient is looking for a more natural and organic gift or they use mostly organic products then look no further as this set is certified organic, cruelty free and vegan which is amazing! I'm mostly vegan but that primarily includes my diet, I usually forget to see if a makeup or beauty item is vegan so I'm very glad that this one is. Cruelty free products are so important and should be more mainstream so why not gift some this christmas. For all three soaps, the ingredients are 99% naturally derived and 77% of those naturally derived ingredients are certified organic. I think this set is not only a lovely practical gift but it's great gift to give to those people who are conscious of living a more environmentally friendly, vegan or cruelty free lifestyle. Lush has been one of my favourite brands since I started university which was a very long time ago (about eight years which I don't even want to think about!). One of my best friends bought us tickets to the Lush Showcase last month as it was in Manchester for the first time and it was amazing. It really cemented my love for the brand, their products, ethics and their activism for a better world. I will always be happy receiving Lush products or gift sets over the christmas period as their christmas products are some of my all time favourites. At the Lush Showcase (which you will have seen if you follow me on Instagram - @ofbeautyand), they released their christmas collection early so naturally I had to buy a couple of products. A couple of weeks ago I was very kindly sent three gift sets from the incredibly generous and wonderful people at Lush and one of the sets I was most excited for was the Little Snow Fairy set as Snow Fairy is one of my all time favourite Lush scents along with Honey I Washed The Kids, Olive Branch and Twilight. As with all Lush gift sets at this time of the year, this one comes so beautifully presented and wrapped so you don't have to do anything. I'm the worlds worst present wrapper so these gifts are ideal for me and others like me who sadly don't have the ability to wrap presents half decently! The Little Snow Fairy set contains two sweetly smelling products, the Snow Fairy shower gel and the Snow Fairy jelly bath bomb. I organised the Lush party which was part of my friends hen party earlier this year and used my voucher to buy one of their then newly released jelly bath bombs but I've been putting off using it as it smells amazing and seems extra special to me - but I need to use it. The Jelly bath bombs look amazing and I cannot wait to use the Snow Fairy one but I'm saving it until it's a little closer to christmas. The Snow Fairy shower gel is equally as gorgeous, it smells incredible and it means that unlike the bath bomb, you can prolong the snow fairy experience a little longer. 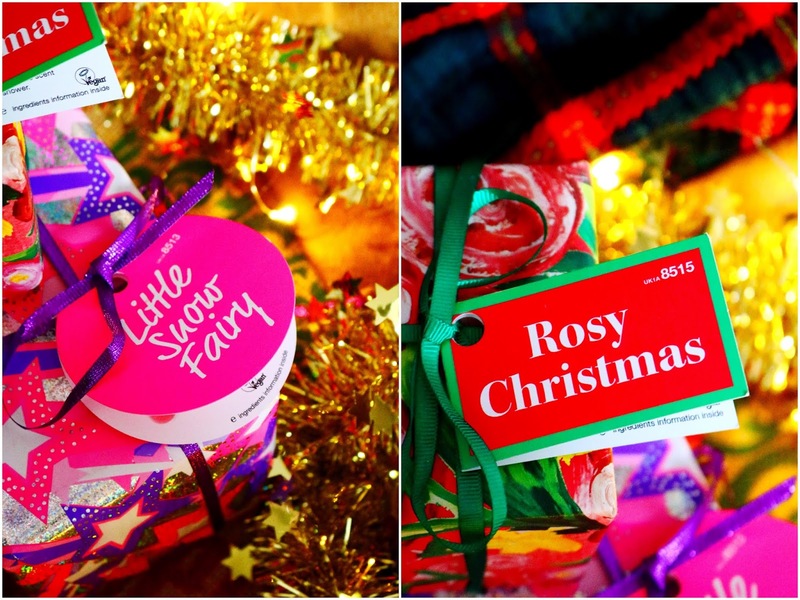 The second Lush gift set is probably my favourite of the three but it is an incredibly close race with the The Snow Fairy set coming in second; however, the Seasons Greetings set comes in first in terms of the packaging! The set would be ideal for those gift recipients who love Lush but don't have a bath or for those gift recipients who you don't know too well because if you only have a shower, you can still use both of the products in the set. I also think this would be a great introductory set for those who haven't tried Lush before or if they've only tried the bath bombs or bubble bars. The Rosy Christmas gift set contains the lovely Rose Jam shower gel which is one of the few Lush products that I haven't actually tried or even smelled before! The Ro's Argan Body Conditioner is actually one of my all time favourite Lush products even though it's quite understated and basic, when compared the glittery fun bath bombs for example but it is a subtly wonderful product that leaves my skin so smooth, soft and nourished which is exactly what it needs at this time of the year! 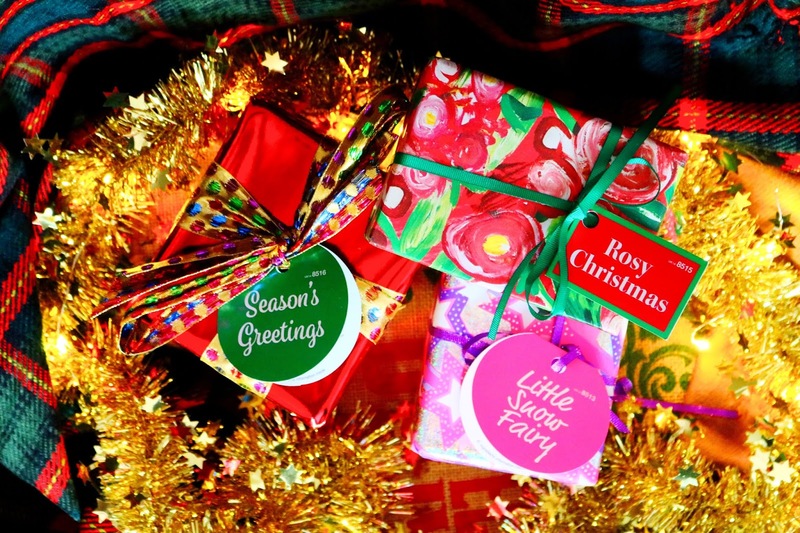 The final Lush gift set is the beautifully packaged Seasons Greetings set which is the most festively packaged of the three, in my opinion. It contains two products I haven't tried before including the Cinders shower gel and the Perle De Sel bath bomb, both of which I had a sniff off at the amazing Showcase. The Cinders shower gel has such an amazing scent, it's spicy, warming and festive smelling to me and the bath bomb is equally as gorgeous with the scent of rose. The Perle Del Sel bath bomb is one of the most luxurious looking bath bombs from Lush and I think it will look even more amazing in the water. Thanks so so much to Lush for these wonderful gifts! Follow me on Instagram (@ofbeautyand) for demos of these products on my Instagram Stories. We're moving back to a few entertainment stocking fillers now from Universal! DVDs are a great easy stocking filler as let's be honest, apart from the Harry Potter series and the Doctor Who christmas special, there isn't much on the TV over the festive period with the same re-runs over and over again. I do love christmas films, it's the only time of the year when I don't mind cheesy films and my favourite has to be ELF but one classic Christmas flick that I haven't ever watched is It's A Wonderful life. It's an American classic Christmas film, which is probably why I haven't watched it before but I need to this Christmas! DVD boxsets are also great gift options and there are so many to choose from including classics like The Godfather trilogy (£14.99, Bluray) or the Indiana Jones set (£14.99, DVD) but a more modern offering is the Pitch Perfect box set which contains all three films. 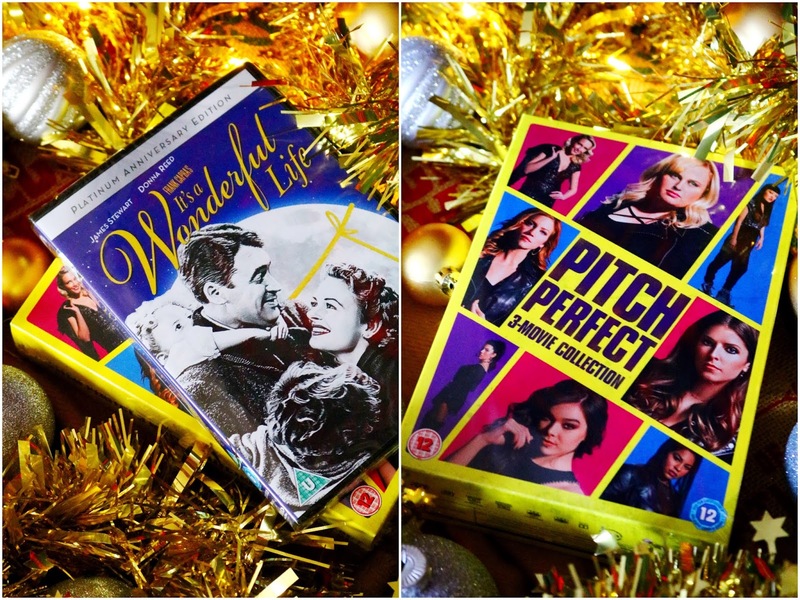 I have only watched the first film so this set is perfect for christmas binge watching! The next two gifts are from the incredible people over at Amara who I've been lucky enough to work with a couple of times previously. Amara stocks such a wide range of very luxe gift ideas, homeware, clothing and accessories so you're bound to find something special and unique to surprise your gift recipient with this year. Some of the brands they stock include the divine Kate Spade, Joules, Ugg, Liberty London and many more, including Laduree. Laduree is one of the most famous French bakeries, who are famous for their pretty and perfect macarons which I'm yet to try but it's on my list for 2019. 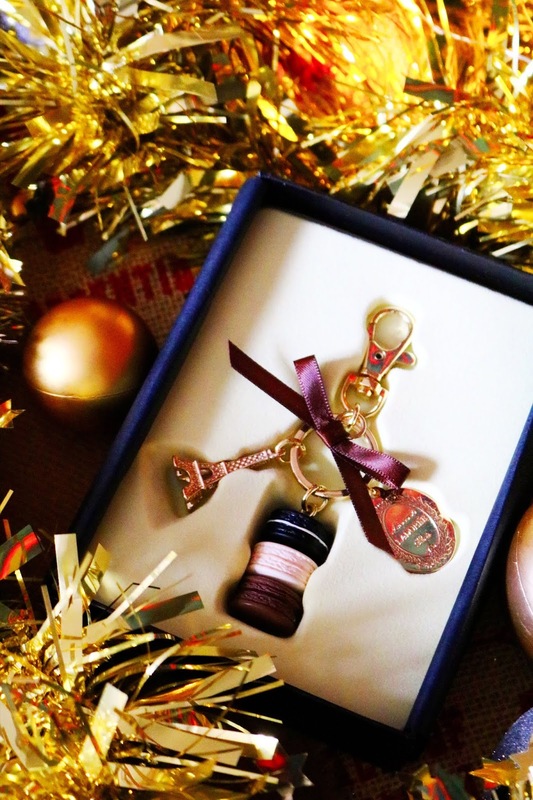 This keyring is one of the most luxe looking keyrings ever and it would much such an incredibly wonderful and surprising gift especially for those foodies, Laduree lovers or anyone who likes macarons. 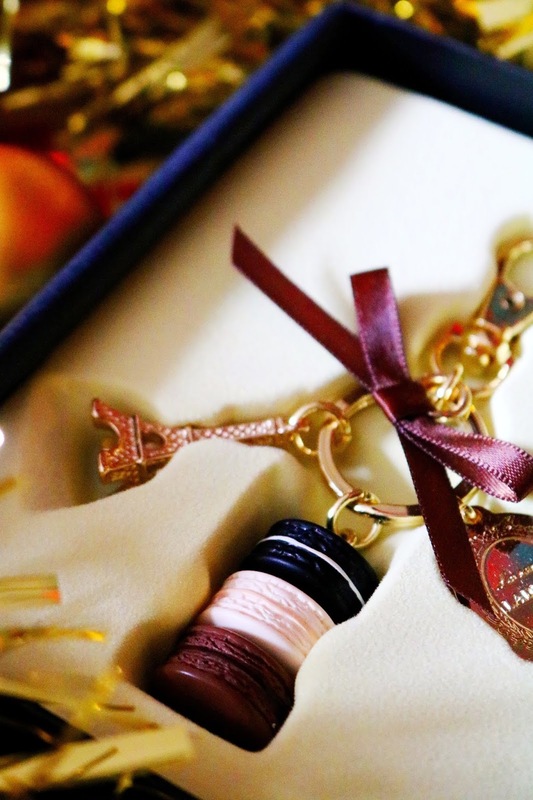 The keyring comes in such a beautiful but simple box which makes it all the more special and luxe. They keyring itself is just adorable with a stack of three mini macarons, the Eiffel Tower and a little Laduree tag charm, topped off with a sweet little bow, naturally. I chose the 'liquorice' colour option but there are other combinations including rose, mint, cassis violet, red fruit and pistachio, all of which are so cute. However, the 'liquorice' option was my favourite of them all and I cannot recommend it enough as a sweet gift that's almost good enough to eat. 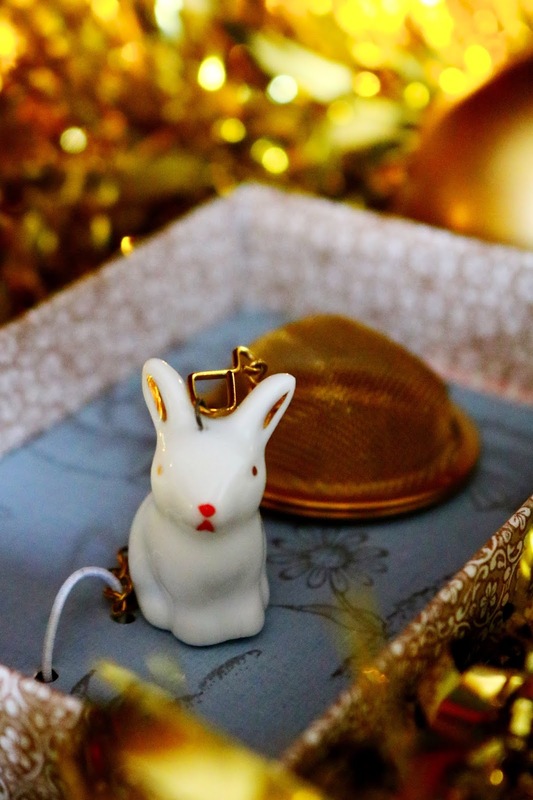 The final item from the lovely people at Amara is this utterly adorable tea infuser which is from Pip Studios - I'm going to have to look into more of their products as this one is just gorgeous. I don't think I have seen anything from this brand before but I will be checking out their products asap! 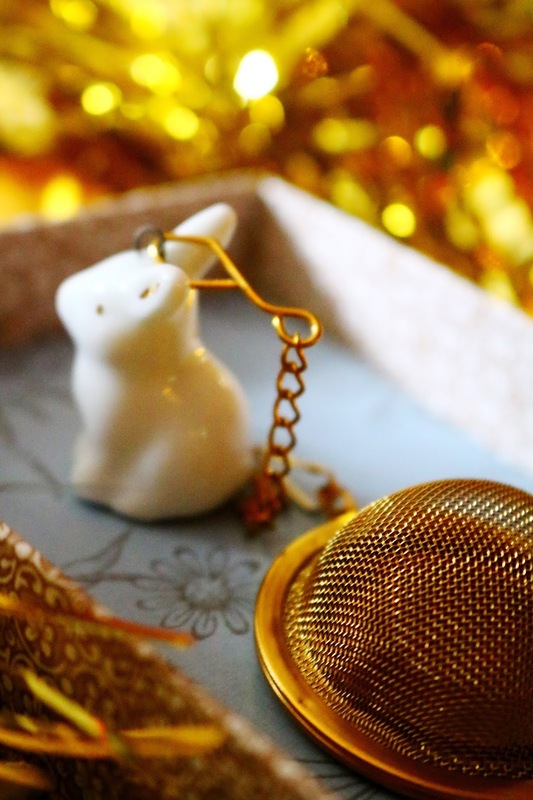 The tea infuser is ideal for loose leaf tea and what better way to enjoy it with an adorable infuser with the cutest white rabbit companion. The infuser comes so beautifully packaged which I think is important in any gift but particularly for a festive gift! The set instantly made me think of the white rabbit from Alice In Wonderland and the packaging as a whole is very reminiscent, to me, of the classic animated Alice In Wonderland film. The vintage, classic feel to this product is so lovely and makes for a more special and thoughtful gift if you know someone who loves all things vintage or Alice In Wonderland. I think this adorable tea infuser would make such a lovely, heart warming and practical gift for tea lovers this christmas. Also, I think the price is very reasonable for such a beautifully designed and presented gift. Last but not least is the most expensive item of the gift guide but one that I've been loving since I received a couple of weeks or so ago. Sensationail is a brand I've tried before, back in 2017 I tried their express gel nail kit which I liked and now they've released their new Strip Gel Starter Kit. This new kit is a little different as it doesn't require any soaking in acetone to remove the gel polish as it just peels off! The kit comes with the LED lamp, peel off base coat, top coat, the coloured polish of your choice and a mystery polish too. Additionally, the instructions, mains lead, nail buffer, nail cleanser and files as well so it is a complete kit in one. I have the 'raspberry wine' shade which is just gorgeous and ideal for this time of the year. I already knew how to use this kit on the whole as I've used the express gel kit on and off for a year but this one is a little different and involves a couple more steps but it is still very easy, mess free and quick. My favourite thing about this kit is that there's pretty much no air drying time for the steps (apart from the base coat) which is one of the things I hate most about painting my nails - I always get very impatient and end up smudging my nails! I think this kit would make a great gift for nail polish addicts or beauty lovers as it's an entire kit in one box so your gift recipient doesn't have to by anything and it's so quick and easy to do. We all know how much I love practical gifts and this is a great one as it saves so much time too, especially if you know someone who's always painting their nails or wants to switch up the colour often. Also, there's the added benefit of this one in that the colour peels straight off the nail instead of using harsh acetone! Have you tried any of these products? What do you think of my first womens gift guide of 2018? It's that time of the month again, DegustaBox time! I love receiving my DegustaBox as it's a pleasant mystery each time and you always get a great variety of products in each box. You also get so much for your money as each box and for that there is such a wide range of items suitable for so many ages, preferences and dietary requirements. Use the code KVAA2 to get your first box for only £7.99! 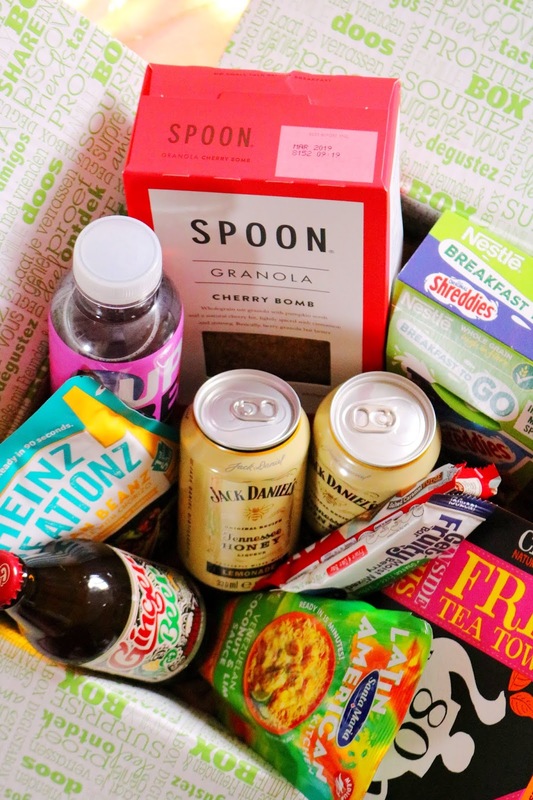 The *October DegustaBox arrived early this month and it contains such a good range of items from tea, ginger beer, snack bars and chocolate to alcohol, cereal, drinks and more. The product of the month for October is the Lift Instant Lemon Flavoured Tea. I hoped that this October box would be more Halloween themed but sadly it isn't; however it is a winter warmer themed box which is great as well. The first item in the box is one that you will only receive if you choose the alcohol included box from the Degustabox; if not then you won't receive this item. There are two cans of the honey and lemonade drink in this box. I haven't tried anything like this before but I know that so many people will love this. I'm going to have to try it for Halloween! Sticking with the theme of drinks I also received two bottles of the springwater drinks from UpBeat Drinks. They are zero sugar, low-calorie drink and they contain real fruit flavours. The two flavours are: blueberry and raspberry as well as summer lemon. I've tried both and I think the lemon flavour is my favourite of the two. I always love receiving drinks like this in the boxes as I drink them so often anyway and it's nice to try new flavours and brands. 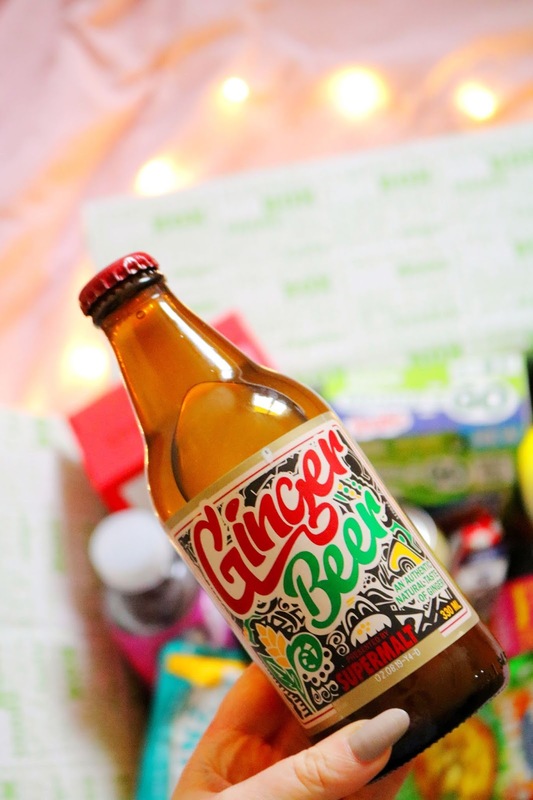 Finally for the premade drinks is this ginger beer which is made using real ginger extracts and lemongrass. I love the packaging for this product, I think it looks amazing! I don't think I have really tried ginger beer before but this one is so nice, it's quite strong and refreshing. There are two lots of tea related items in this months box, the first of which is the product of the month – Lift Instant Lemon Flavoured Tea. I haven't tried this brand before but it looks interesting and I've heard great things about this particular product. I love lemon flavoured tea as well so I can't wait to try this. Last but not least for the tea items is this fair trade everyday tea from Clipper. Clipper is a brand I've tried quite a few times, I love their herbal and mint tea options. This version that came in the box contains 80 every day teabags as well as a large tea towel (which I love the design of)! I love that their products are fairtrade too! 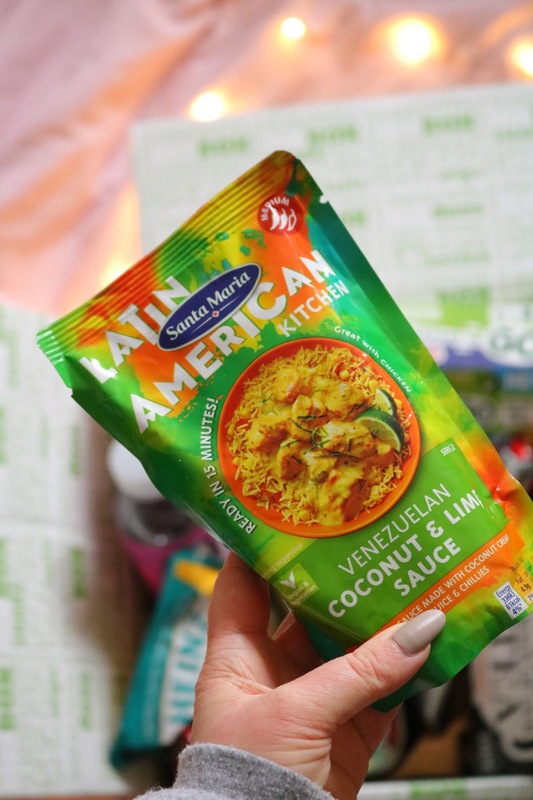 Let's move onto some of the food items in the box and this first one is from a brand that we've received quite a lot in these boxes but I'm so glad we do because I've liked everything I've tried from them so far. The item I received is the lime and coconut sauce but you could have also received the Mexican spiced tomato sauce instead. I haven't tried it yet but they're both vegan friendly, gluten-free and I think they would be great in a vegan curry style dish. Heinz is a brand that I've grown up with but I haven't seen anything new from them until now. Their creationz range comes in four flavours but I receive the chorizo one which sadly I can't eat as I'm a vegetarian. However I know that so many people would love this item - one of my favourite things about these boxes is that there's always something new in the box that I haven't seen before! For the last few products I'm going to talk about the cereal and snack items in this months box. The first is one that I'm a bit conflicted about as it sounds great with no added sugar, gluten-free ingredients and it's a good source of fibre. It is also vegan which is always a plus for me; however the name isn't very appealing at all, in my opinion. Additionally I'm not a fan of berry flavoured snack bars – I'd rather have chocolate are nutty flavours personally. I think one of my favourite items from the October box has to be this chunky KitKat in the salted caramel fudge flavour. It was the first product I tried from the box (obviously) and I definitely want another! I'm not usually a fan of this brand personally but I love this flavour, it's very moorish. Last but not least is a new, all in one breakfast option from Nestlé. It contains a pot of Shreddies cereal as well as a carton of milk. I think it's a great school or work breakfast option as it's so quick and you can take it on the go with no mess. I personally don't drink cows milk so this isn't for me but I can see how it would be very convenient for a lot of people - I just wish there was an almond milk option! 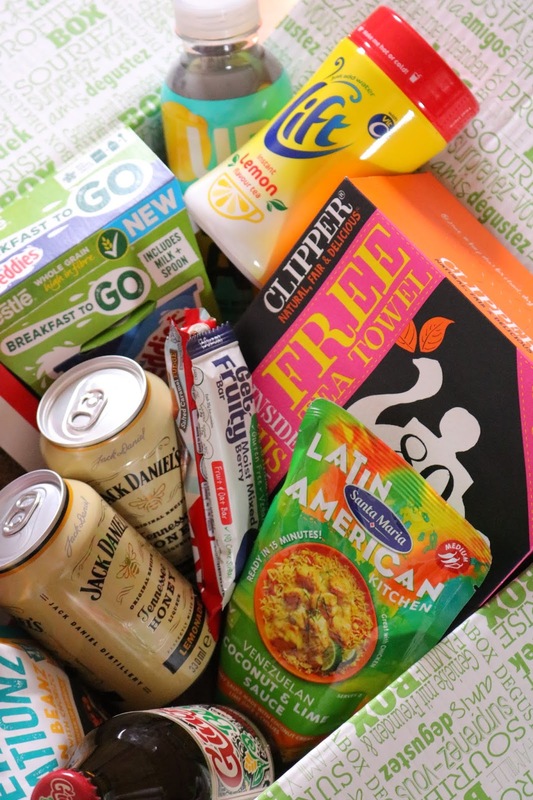 Overall it is a bit of a mixed bag this month however I do really like the instant lemon flavoured tea, KitKat chunky bar, ginger beer and the Upbeat spring water drinks from the box. Check out my video above for a more detailed look at the products included. If you have any problems with the video please let me know! Don't forget to use the code KVAA2, to get your box for only £7.99! What do you think of the October? Have you tried any of these products? 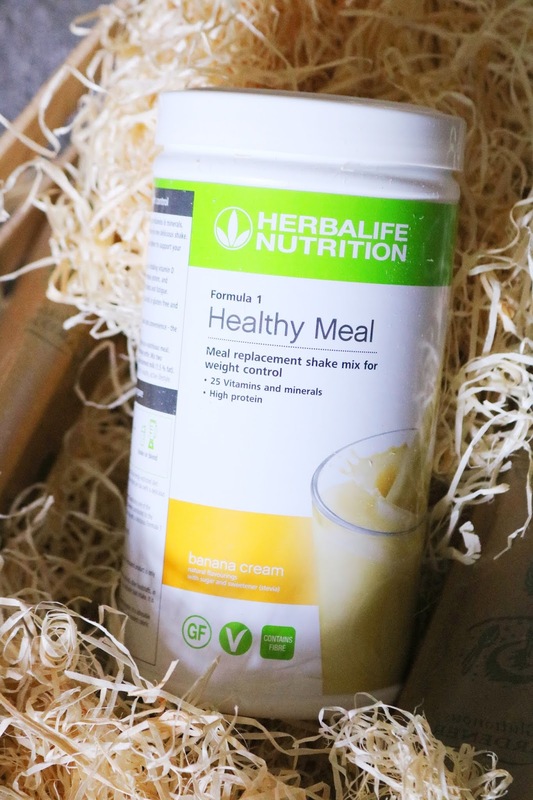 Today's post is a little late in the day because I've had so many items to photograph for my upcoming Christmas gift guides but today's post is all about the brand new *Herbalife Banana Cream Healthy Meal Replacement Shake. I've worked with Herbalife before reviewing their Cookies and Cream Shake which you can read if you want more information on that flavour. 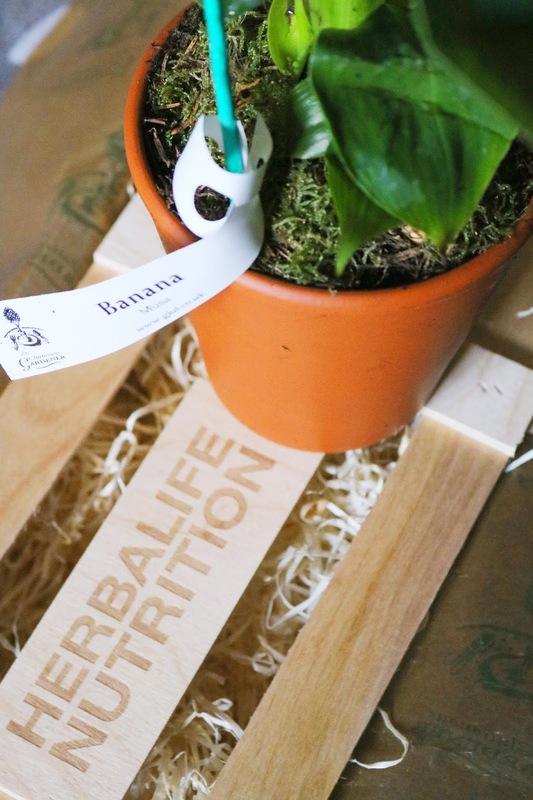 I was very lucky to be sent their latest flavour alongside one of the most unique and interesting PR package additions I've ever received - a real banana plant! I have quite a few succulents in our home office and I've managed to keep them alive for a couple of years but so far my poor little banana plant isn't doing so well in the chilly autumn weather even though I'm keeping it in the warmest room of the house. The plant is from The Gluttonous Gardener and it's their 'banana tree kit' (£34) which I'd definitely recommend as a complete kit and an unusual gift this christmas! The Herbalife Banana Cream Shake comes in the same packaging as the first one I tried and it contains much of the same nutritional features such as it's vegan, gluten free, it contains 25 vitamins/minerals and it is a source of fibre as well as being a good source of protein - 18g of protein per serving which is fantastic. As a vegetarian and mostly vegan, I try to monitor my protein intake, which I do with the Lifesum app and on the days when it's a little low (they are few and far between) these shakes are a great lunch or breakfast option with the added benefit of being protein rich that in turn makes it quite filling. Speaking of the Lifesum app, I cannot recommend it enough if you are wanting to lose weight or to keep that weight off as it has helped me so much! The flavour of the cookies and cream one was very nice (I'd definitely recommend it as a close second), the chocolate on it's own was ok but this one might be my new favourite as it is very creamy, it has a nice banana flavour and it is the least powdery of the three I've tried although that might be due to me shaking the bottle for a good minute or two to make sure everything is mixed well. You really need to get the Herbalife or general shake bottles that are designed for products like this and shake them well otherwise they'll be powdery and not very pleasant. Overall, I'd definitely recommend this new flavour! 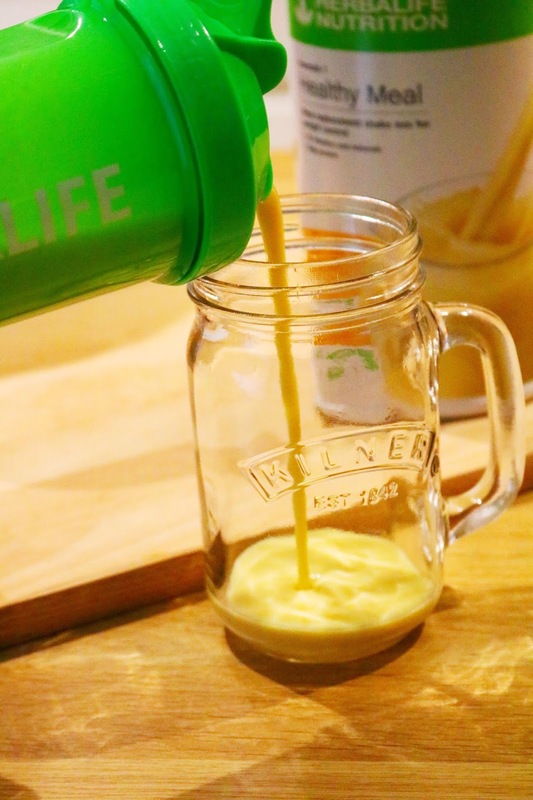 Have you tried anything from Herbalife? Would you try these meal replacement shakes? 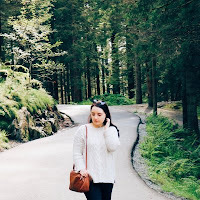 I started my blog back in 2012 and I don't think I've ever consciously avoided difficult or more taboo topics such as periods, eczema and other skin conditions, laser hair removal and anxiety but one thing I don't think I've mentioned before is PCOS. I'm all for talking about mental health, periods and more difficult or potentially embarrassing topics because none of those should be taboo issues as they affect so many people! PCOS or poly cystic ovarian syndrome is a very common syndrome that affects the ovaries and hormones resulting in various symptoms such as irregular periods, hair loss or thinning, infertility issues, excess hair on the face and body (hirsutism), elevated male hormones and cysts on the ovaries. However, you don't need to have cysts or all of these symptoms to have PCOS - you might only have one or two of the more milder symptoms. PCOS is incredibly common and according to the NHS it is thought to affect one in every five women in the UK which is very high! You might never know that you have PCOS as you might think that irregular periods or a little excess facial hair is just part and parcel of your body but it could be PCOS so it's definitely worth going to your GP about as there might be something that could help. I have a couple of the symptoms and according to my GP, I have a mild version but your symptoms could differ in frequency or severity. I have slightly irregular periods (it's so much better now than it used to be) and they are also very painful at times. Additionally, I have very slightly elevated levels of androgens - androgens are male hormones and every woman has them but in some cases it can be a little higher than normal. Mine are only very slightly higher than normal but it still results in hirsutism which is my main symptom and something that makes me feel so awful about my appearance; thankfully it's fairly easy to rectify and manage. I think so many women experiences excess facial or body hair and it's something that needs to be discussed or accepted more than it is. I was diagnosed when I was around 20 years old, when my super lovely GP suggested that from my symptoms I might have a mild version of PCOS so I had an ultrasound of my ovaries (which was nothing to worry about and it was a non-invasive test). My results came back completely normal with no cysts which can happen with PCOS, you don't need to show cysts to have it. 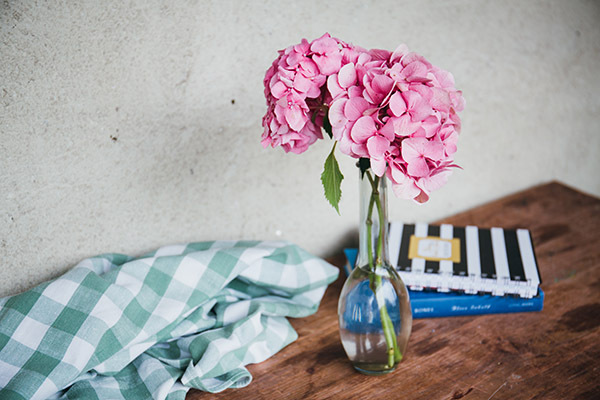 However as I had a couple of the other symptoms and my blood tests showed that I had very slightly raised levels of androgens, I started taking the pill to help regulate my periods and manage my symptoms. If you've ever been on the pill then you'll probably know that it can have some awful side effects and for me it left me feeling overweight, bloated and extremely sad resulting in me crying every few days which isn't like me at all. Now I don't take anything to manage my mild symptoms apart from hair-regrowth serums for my hair loss. One big lifestyle change that I think definitely helped my symptoms become even milder is my weight loss! Over the past year I've lost over two stone and for the most part, that time has been spent keeping the weight off now that I've lost it. My mostly vegan diet has definitely contributed and just ten or so minutes of exercise everyday helps too. I also take multivitamins to keep my levels topped up and other supplements (Nature's Best have a great range) might help you too but always consult you GP before taking anything or if you think you might have just one or two PCOS symptoms as you might be able to get a diagnosis and help! Do you have PCOS or know someone who does? Today's christmas gift guide is all about practical, comfy and cosy christmas gifts that would be perfect for the winter season. When I think of winter essentials I gravitate towards cosy and comfy clothing, food or baking and hygge homeware and I think all of these gift ideas would be ideal winter essentials gifts for yourself or someone else. 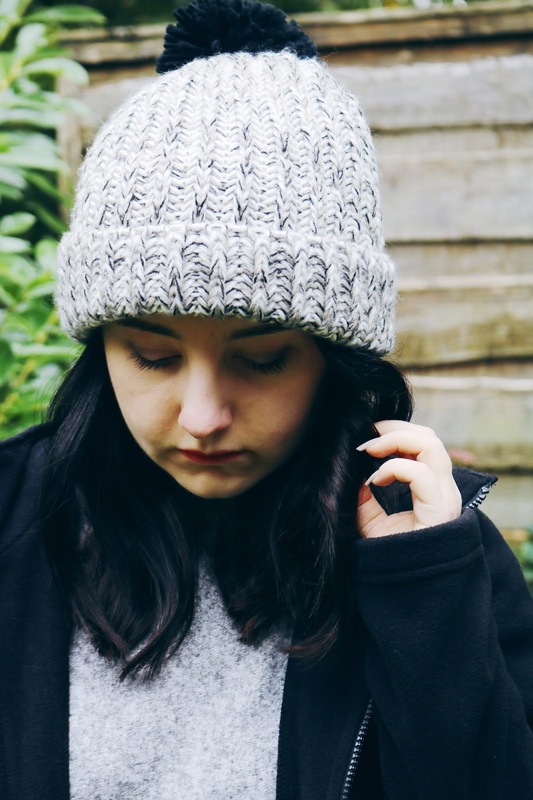 The first item is one of the cosiest and something I need to wear more often as it's a cute beanie which features a suprafleece band for extra warm! Manchester definitely gets very chilly during the autumn and winter months so this will be a must for me and I love the 'oatmeal twist' colour option I chose as it will pair with so many of my casual outfits over the winter months. I love the simple but homemade looking design! It is a little too big; however it's very comfortable and warm - an easy winter essential ticked off the list. Next up is another cosy essential for cold wintery months and it would also be great exercise wear for colder days too. I love fleece jackets as they're the warmest jackets ever and this one is no different. It's incredible soft, cosy and warm which is great as Manchester is becoming very chilly and frosty already! I have it in a UK Small and in the black colour option but there are various sizes and colours available. I'm generally a UK 8 or a UK XS or Small and this jacket fits pretty well on me so I'd say it's true to size. If you love giving practical gifts as I do then you'll have to check out PPE Work Solutions as they have a great range of items available. Last but not least from PPE Work Solutions is this gorgeous saddle bag! I'm definitely a bit of a bag hoarder, I can never have too many but I don't have one quite like this. I love the shape, it's surprisingly large for it's dimensions and I love the colour too. I always like to carry around everything with me so this bag is perfect, although I will have to add a few more holes to the strap to make it a little shorter. Use the code: 2018WINTER to get 20% off at PPE Work Solutions which is valid until the 31st December. Baking and cooking in general is something I tend to do much more of during the colder months. I especially love to bake around the christmas period and recently I've been making warming and comforting soups, curries and creamy pasta which are all my go-to warming meals. One meal that I always make in the autumn and winter is a creamy spiced butternut squash (or pumpkin) soup with lots of herbs such as sage or tarragon. I do love using the milder and more aromatic spices (rather than the more intense spices as I can't handle too much heat) at this time of the year so I had to request this book from the wonderful people over at DK Publishing. I've been lucky enough to work with them previously and I've loved all of the books I've read from DK Publishing. The cover, diagrams and illustrations are all fantastic and I adore the layout of the book - it's one of my favourite things about the book! 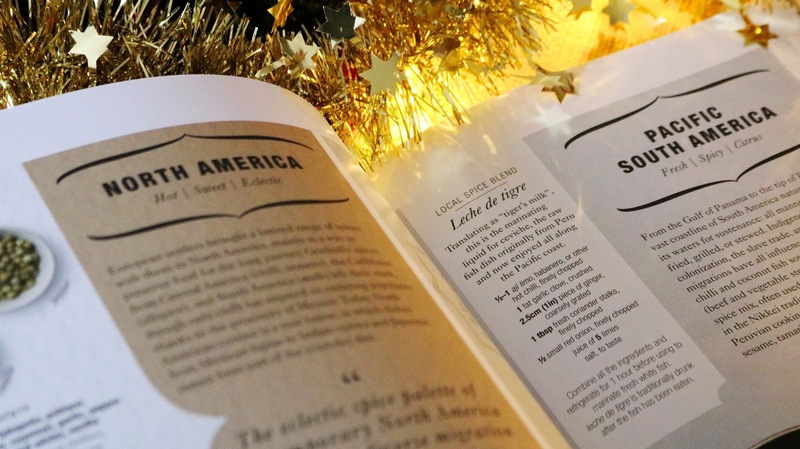 I'd love to learn how to use spices and in more creative ways so this book is perfect as it doesn't just go into the history and origin of the spices it focuses on but it also tells you food pairings, spice blends to try and how to use the spices. Also there are a few easy to follow and delicious looking recipes throughout the book as well involving the spices mentioned. 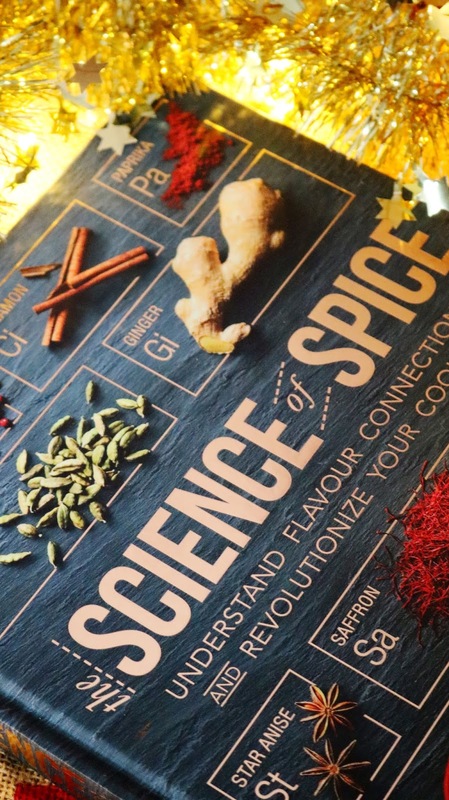 I think this book would be great for general foodies in your life or those who love spices, experimenting with flavours and book lovers too as there's so much information to get your teeth into...it's very easy to follow, filled with interesting facts and it would make a great resource book. DK Publishing have such a fantastic range of books for all ages and interests that would make wonderful gifts this christmas. I love gifting cookbooks and books in general because I love books and cooking so much! You might know that I've been vegetarian since I was 11 which is a very long time ago now and over the past four or so years I've incorporated more and more vegan options, meals and ingredients into my diet (which I'm loving). I only have a couple of vegan cookbooks, both of which are from Isa Chandra Moskowitz and I cannot recommend them enough but I wanted a few more so I was very excited to receive these vegetarian and vegan cookbooks from the amazing people over at The Book People. I've seen this vegan cookbook on Amazon so often but never picked it up so I'm glad I now have it. Cook Share Eat Vegan contains over 100 easy vegan recipes that don't require a tonne of hard to find ingredients. I adore the layout and design of this book, it's so simple but I love it! However, some of the recipes are extremely simple (too simple), although there are quite a few recipes that I cannot wait to try including: the sweet potato gratin, battered tofu and the chestnut and miso soup, the latter sounds amazing for winter. 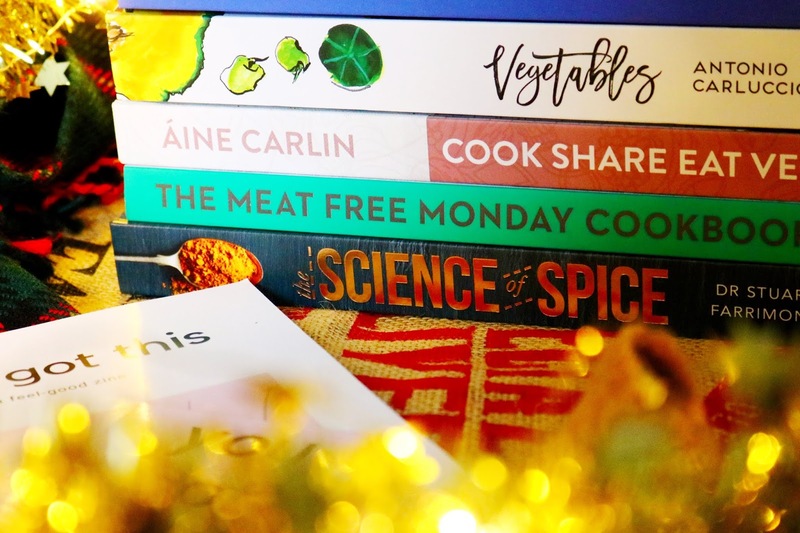 You may have seen the meat-free Monday hashtag going around on twitter, that's where I first saw it and if you or your gift recipients take part in #MeatFreeMonday then this would be the ideal cookbook gift for them. 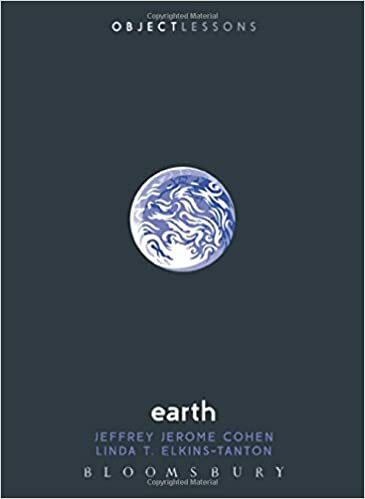 Also as I'm already a vegetarian/vegan I'd definitely love to gift this book to my friends and family to encourage them to eat healthier and make more environmentally friendly choices. I'm a huge advocate for the vegetarian and vegan lifestyle as I think it is the only fully compassionate and environmentally friendly diet out there as well as being very healthy and nourishing. The penultimate cookbook I'm going to recommend isn't a vegetarian cookbook but it has quite a few recipes that are and it's from one of the nicest chefs who ever existed. 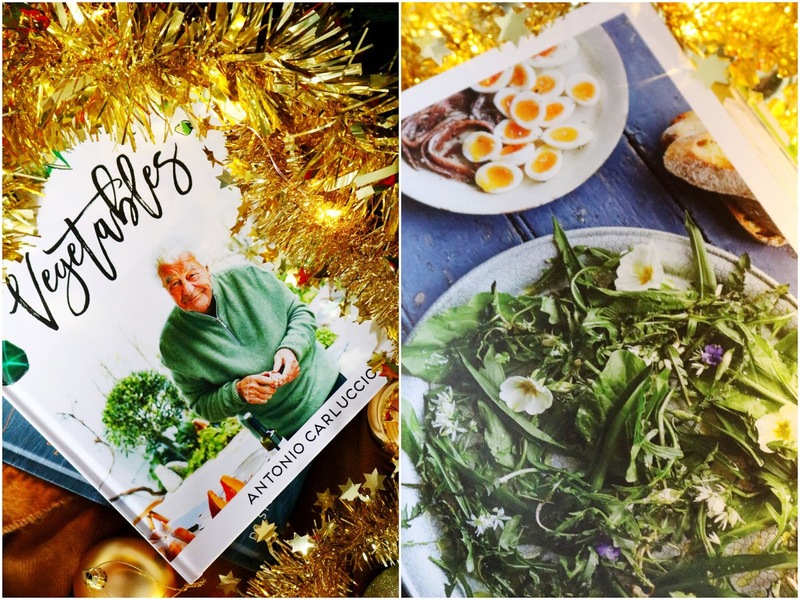 Sadly Antonio Carluccio passed away last year but his TV shows and recipe books still inspire me to cook. I have a few of his books already as I've given them as gifts to my dad who is also a fan of Antonio Carluccios recipes and the photography throughout all of them is fantastic - I also love the illustrations and end papers within this one. You can see all of the cookbooks in more detail within the video below. There's information about lots of specific vegetables from sea kale, peas and beans to rocket, artichoke and more. There are so many vegetarian recipes within the book that I want to try such as spinach fritters, spinach ravioli and a swiss chard and artichoke tart to fresh sauerkraut. Not all of the recipes are vegetarian as some ingredients include ham, anchovies and lamb. I did think that this was a vegetarian cookbook which sadly it isn't but there are still a lot of recipes I can use and enjoy! Last but not least is a cookbook that I have wanted for so long! She's just brought out some vegan ready meals which I'd love to try but first, her cookbook. 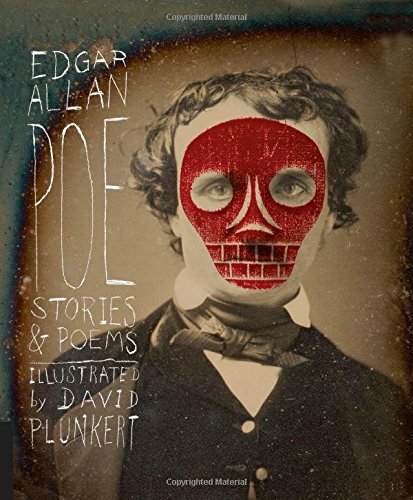 As with all of the others, I love the layout, style and the photographs within this book. I want to try pretty much every recipe, especially the following: buckwheat pancakes with hot chocolate sauce, creamy mushroom soup, green Thai curry, peanut butter slices and so many more.This is the book I'm most excited about and I'll let you in on a little secret, I'm starting up my vegetarian/vegan food blog in the new year so they'll be lots of recipes on there soon. I would definitely recommend all four of the books from The Book People, especially the last cookbook! All of them are currently heavily reduced on The Book People website and they always have an amazing range of discounted books from all genres and age ranges. They also have sales, offers and discount codes so you will always find a bargain - it's one of my favourite sites to browse for book deals and we all know how much I read! 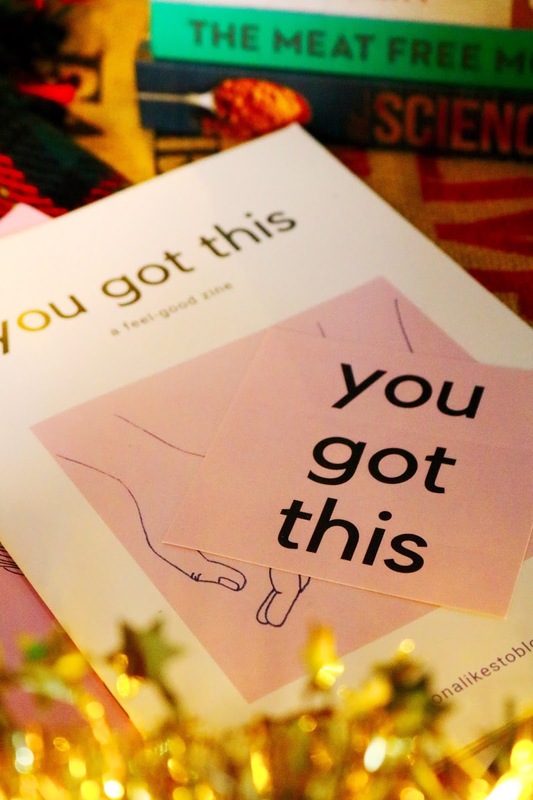 My final book themed gift idea is a bit more of a personal one as it's a mental health zine from Fiona Likes To Blog - you can buy her stickers and other items from her Etsy. I was very kindly sent the double pack of issue one and issue two of her mental health zine. They are mental health mini magazines essentially featuring full colour photographs, illustrations and interviews. I think it could make a wonderful and very thoughtful gift for someone this christmas, if you know that they suffer with depression or anxiety - both of which can be much worse at christmas which I know all too well. They're both definitely little pick me ups and something relatable particularly for those who don't really have anyone in their lives that are experiencing the same thing. Check out her lovely Etsy store which also includes stickers and t-shirts. For me, the perfect wintery day would be to cook and bake a lot of comfort food in my cosiest loungewear and then snuggle up on the sofa with blankets, soft cushions and either a Harry Potter film, a good book or a fun craft project to make. You may know that I am lucky enough to be sent the amazing Craftiosity subscription boxes to review on the All Subscription Boxes website so I already love crafting or DIY kits. I was very excited for this kit to arrive as it's something I've never made before and while I have tried knitting a few times (one of my aunties is amazing at it), it's something I still struggle with. 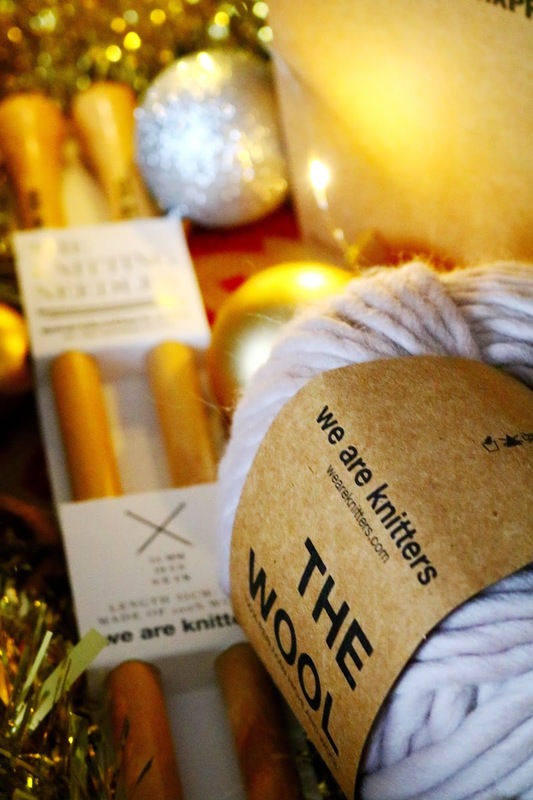 I thought this well designed and presented kit from We Are Knitters would be a fantastic introduction back into the world of knitting but with a modern twist. I chose this kit because a cute heart shaped cushion seemed like quite a unique thing to make and it would look so nice in out living room. You may have seen on my Instagram Stories (@ofbeautyand) that I started this project yesterday (with my aunties guidance) and I can't wait to see the final result. The kit contains almost everything you need to make the project from the knitting needles (which are ginormous and could be used as a legal weapon - knitting is far more dangerous than you'd think), the super soft Peruvian wool, needles, tag and instructions. The only item the kit is missing is the stuffing for the cushion but other than that it's a complete kit. There are so many colour options of wool to choose from and I did struggle to pick just one colour but I opted for the 'pearl grey' shade which is gorgeous and will match our living room so well. Their kits come in a range of difficulty levels from beginner to advanced and I chose the easy level as I knew that if I struggled then I'd have my very experienced auntie to undo my inevitable mistakes! The process is a little tricky, especially for a relative newbie like me but I'm definitely enjoying it so far after a little help. 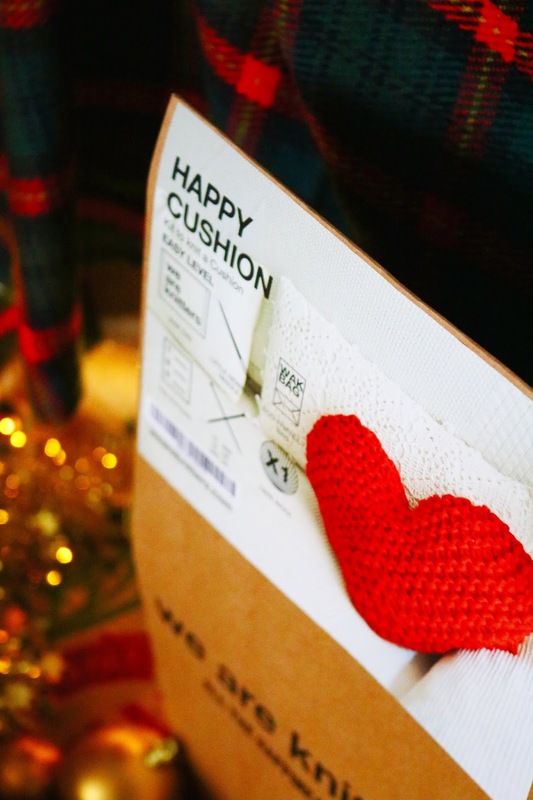 I'll update my gift guide with photos of my hopefully finished cushion very soon! What do you think of my 'winter essentials' gift guide? 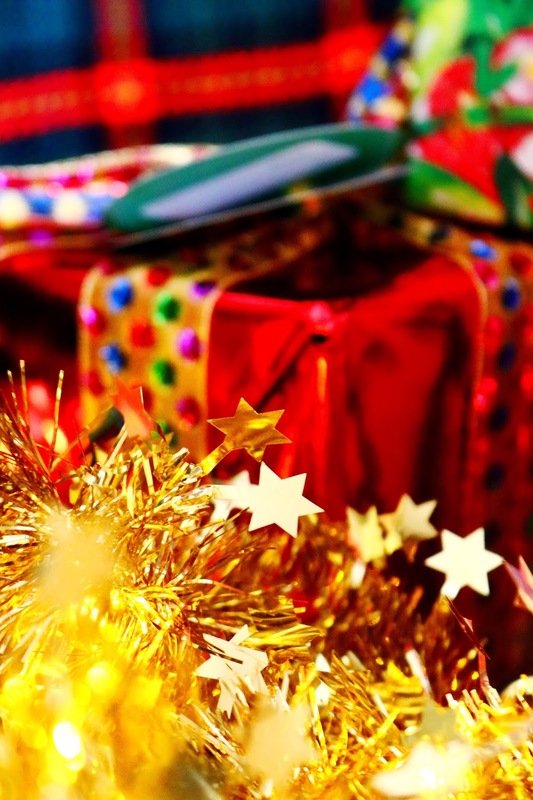 Would you like to receive any of these gift ideas or would you give them to someone else as a christmas gift? Halloween is drawing near and we all know by now that it's my favourite season! I haven't hosted a halloween party or a halloween afternoon tea (which sounds amazing) but I think I'll have to next year. 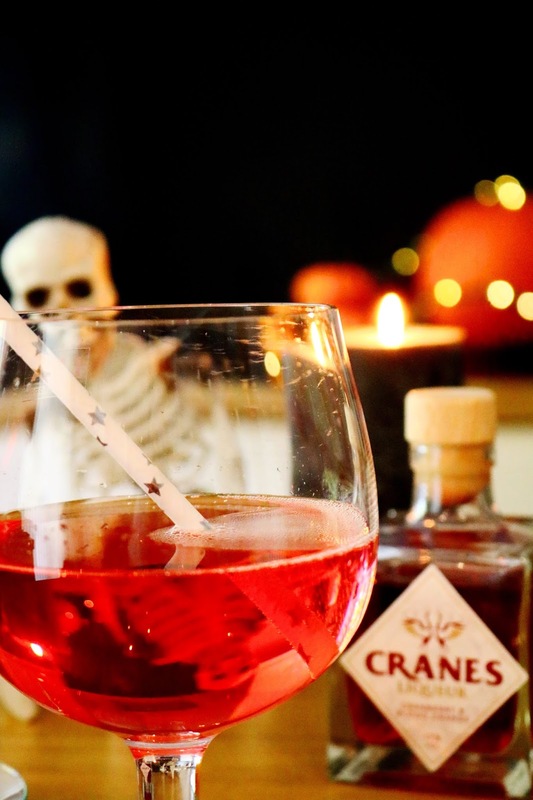 If you're planning a halloween party or boozy afternoon tea then hopefully these cocktail ideas with Baileys and Cranes will give you some inspiration - also check out the video at the end of the post, I'm actually very happy with it, unlike most of my other videos! I love the original Baileys but they now have a range of varieties to choose from including their new dairy free almond drink which is naturally suitable for vegetarians and vegans. I love that so many brands are now making dairy free versions of their original products or adding new vegan options! It tastes delicious - sometimes almond flavoured drinks and food can be very artificial tasting and overly sweet but this isn't, thankfully! Don't get me wrong, it is very sweet but not overly so for me although I love sweet drinks. The Baileys bottle is just gorgeous and perfect as a gift but it also features three recipe and serving ideas on the back including an iced coffee with baileys which is what I made as I just love coffee, especially iced coffee (and to be honest it is one of the easier cocktail recipes you could make). To make it, I add a lot of cold brewed coffee into my Kilner glass jar along with ice cubes, a little gingerbread coffee syrup (as I said, I like sweet drinks) and about two shots of Baileys but add as much or as little as you want. Also if you don't want it to be extra sweet omit the coffee syrup! Instead of a Kilner jar I think this cocktail would look great in a tall coffee glass or even the glass teacup I've used below from Teapigs. I also made a couple of glasses of Baileys on it's own because while my favourite way to drink it has been as a festive and boozy iced coffee, it does have a nice flavour alone too. 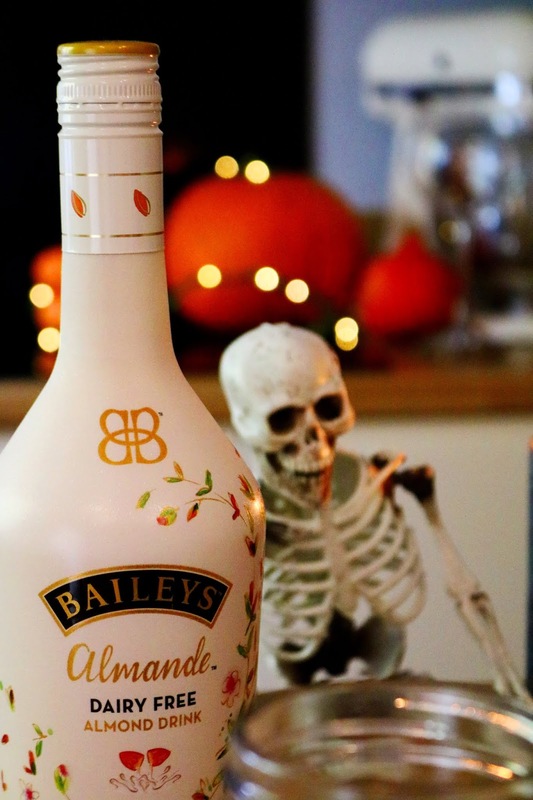 If you don't like almonds or marzipan flavours then this probably won't be for you but I do and it makes a great sweet halloween cocktail. It would be ideal for Christmas too as Baileys is the ultimate christmas drink to me. One note of the iced coffee with Baileys Almande is that it has a tendency to look split in the glass and I don't know if that's due to the coffee I used or the Baileys Almande but it tastes great anyway - just stir it and it will look normal again. I also added these cute star straws to a couple of the cocktails in todays post - they're from a TreatBox a while go, check out All Subscription Boxes to read my subscription box reviews. Next up, I used the delicious *Cranes Cranberry and Blood Orange Liquor (£19.95) to make the next two very easy and quick cocktails. 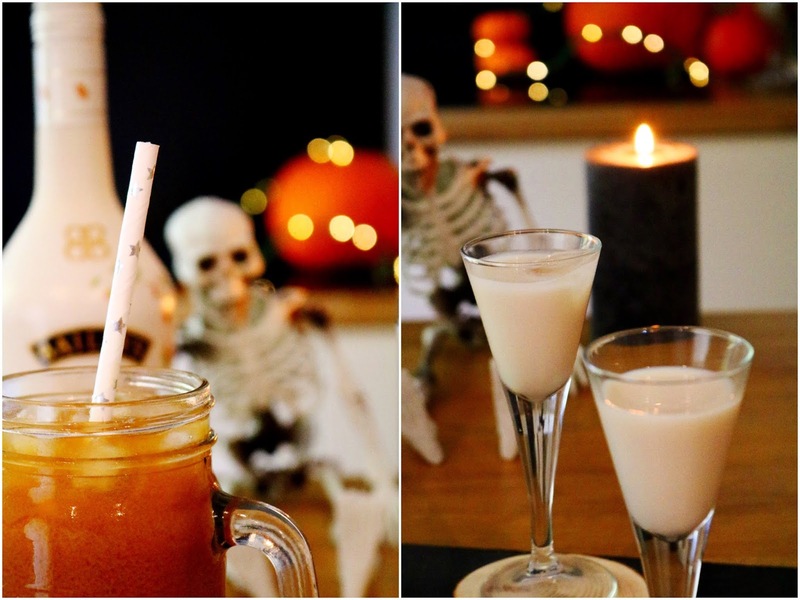 The Baileys drink is quite white in colour which I think fits the theme of halloween (ghost cocktail anyone?) 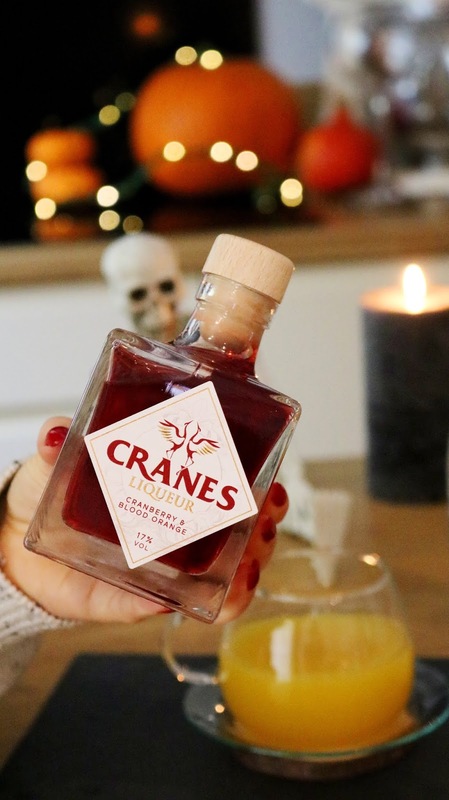 but I think the Cranes liquor is absolutely perfect for the halloween season. The first drink I had to serve in a cute glass teacup from Teapigs as it looks adorable and it would be great for a halloween afternoon tea! I mixed fresh orange juice with a little vodka and the Cranes liquor to make a fruity, delicous and incredibly easy cocktail using items you probably already have in your kitchen. Lastly for the cocktail ideas, I simply added a bottle of tonic water to a craft beer glass (I love the shape of these glasses) and added the liquor - it's simple but delicious and very easy to make for a halloween party. I added the star straws again but you could even add edible glitter, pomegranate seeds or blood orange segments to the cocktail too. The flavour of the Cranes liquor is so delicious, I'm not usually a huge fan of cranberry flavoured drinks (or cranberry flavoured anything) but in this drink it's tangy, refreshing and very moreish. I think this one will be a hit with so many people and it looks very halloween themed in the glass as well! Thanks so much to Baileys and Cranes Drinks for kindly sending me the products to try out! I don't make cocktails very often but it was definitely fun making these and trying them, especially the Cranes liquor and tonic water combo - simple but very delicious. 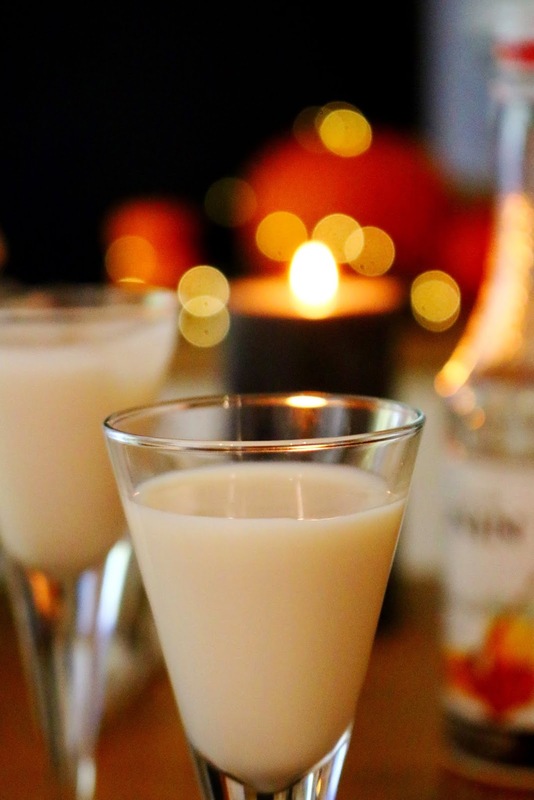 I also think the Baileys drink will be a hit and it's always good to have options for everyone to try, whether they're vegan or not. Check out my quick halloween video below where you can see the drinks in more detail and a very quick demo of how I made them. I'm quite a perfectionist so I'm not completely happy with the video but I'm loving the music! What do you think of these cocktail ideas? Do you celebrate halloween? Will you be trying #BaileysAlmande or the Cranes Liquor? Halloween is my favourite time of the year but this year has just been so busy in terms of Christmas content so halloween posts are few very and far between but I have already posted my first halloween look of the year which you can read and I will have a second halloween look post very soon too! 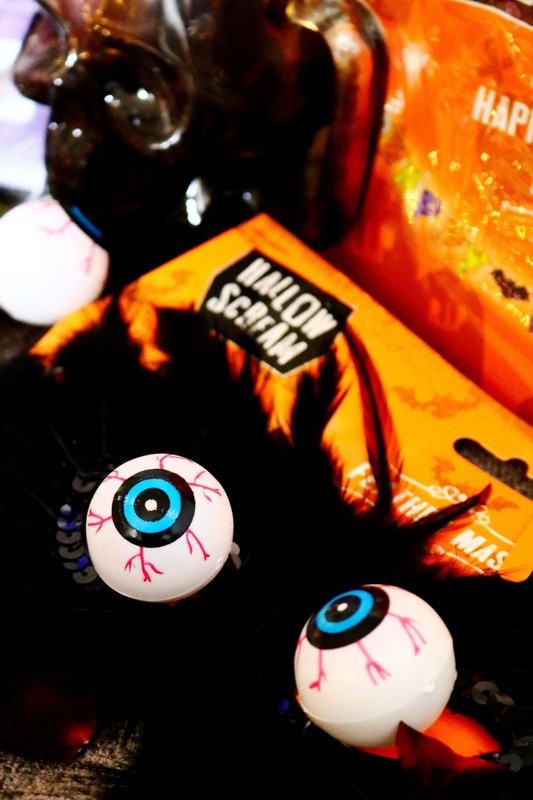 Today's post is featuring some of the spooky halloween goodies from Home Bargains. Growing up, the only thing I liked about halloween was the candy and the halloween school disco in primary school but over the past four or so years I've come to adore halloween. I don't know why it changed but I'm glad it did and now I love anything halloween themed, whether it's books, TV shows, movies or having an excuse to eat candy! Halloween decorations aren't really my thing, unless they look quite specifically how I want them to but I do think these cute halloween decorations from Home Bargains are great, especially for the low price point. I love the cute, slightly spooky banner as well as these eyes which would look very creepy in a vase! I don't currently know the prices for everything but when I do, I'll update this post. However, my favourite halloweens decorations from Home Bargains have to be the huge pumpkin punch balloons which not only look cute but they remind me of the punch balloons we used to have at my primary school for the halloween disco and for the Christmas fare! 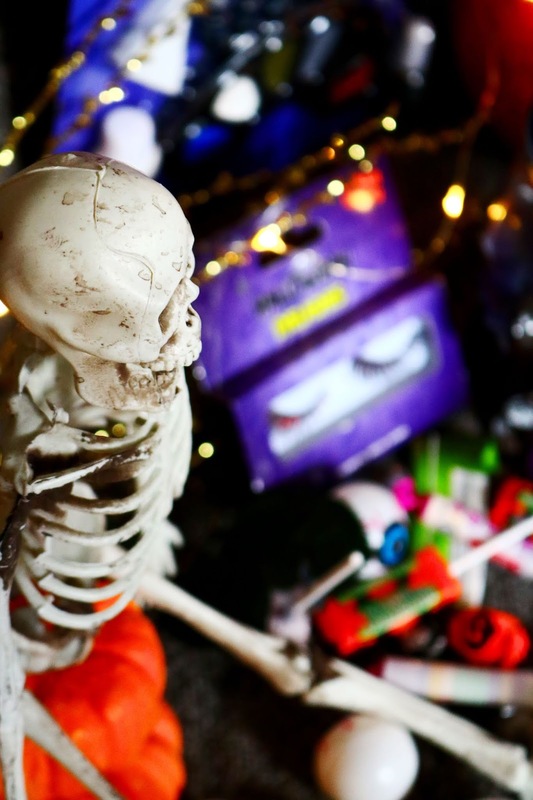 If you are hosting a children's, or adults halloween party then look not further than Home Bargains for cute, creepy and very inexpensive decorations. 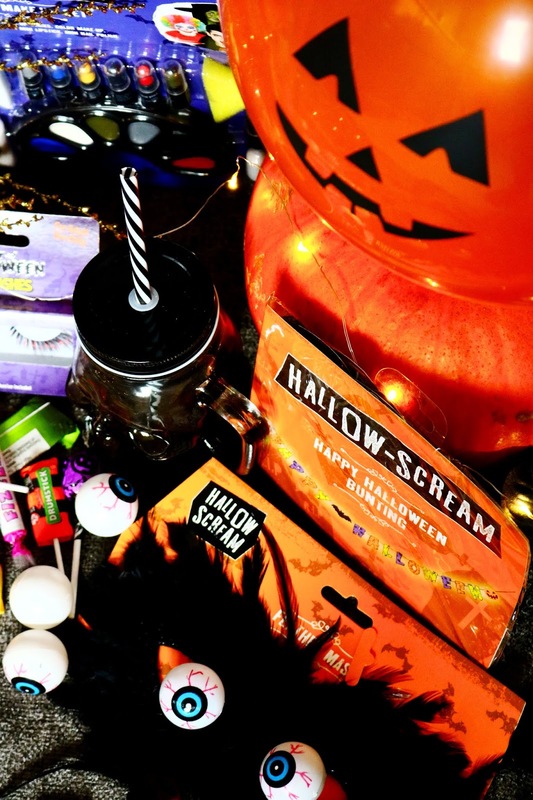 It isn't halloween without these two things: getting dressed up and candy. Getting dressed up is one of my favourite things about this time of the year. You may have already seen some of my halloween looks over the years on my blog, you can check them out if you are in need of makeup inspiration but if you don't have time to get out the brushes, palettes or SFX makeup then face paints might be the way to go and this family set from Home Bargains would be great either for a party or getting ready on the day. When it comes to treats, I'd much rather indulge in something savoury than sweet as I'm not a huge cake, biscuit or chocolate fan but I do love sweets, especially sour sweets and candy so halloween is the perfect excuse to eat some - the best vegetarian sweets have to be the Colin the Caterpillar or Percy Pig sweets from M&S. However, Home Bargains have so many sweet treat options, you're bound to find something for trick or treaters (or yourself) this year. 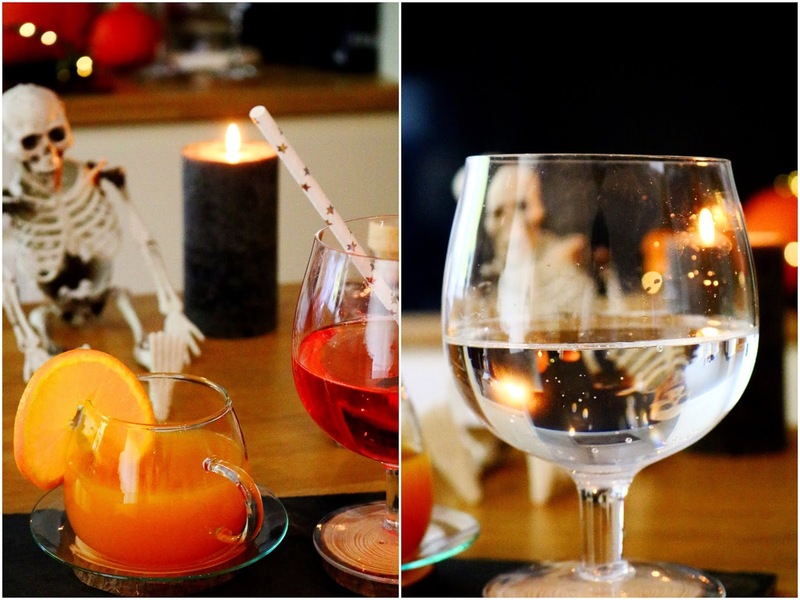 Last but not least, my favourite products from Home Bargains have to be the skull glass that I adore! The second favourite item is a plastic skeleton which is perfect for halloween and it is currently sitting on the fireplace with all of the pumpkins I've acquired over the past few weeks! 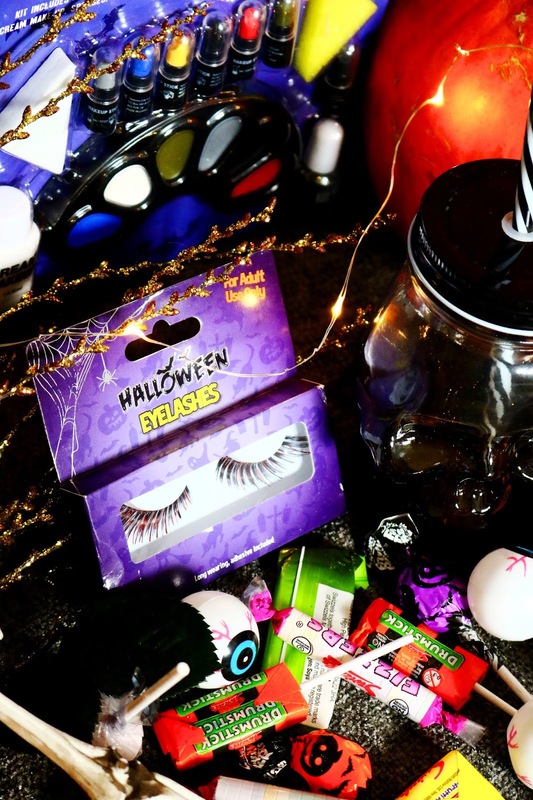 If you're looking for some inexpensive and spooky halloween decorations, candy, costumes accessories or face paints then definitely check out Home Bargains! What do you think of these halloween items? Do you celebrate halloween?